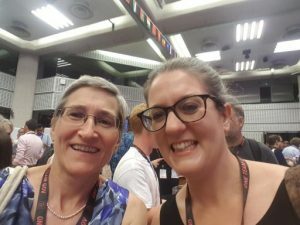 Clare Tasker, Mining Reports Reta il Team, The Coal Authority, attended a global unconference as part of her Civil Service Local Academy experience. 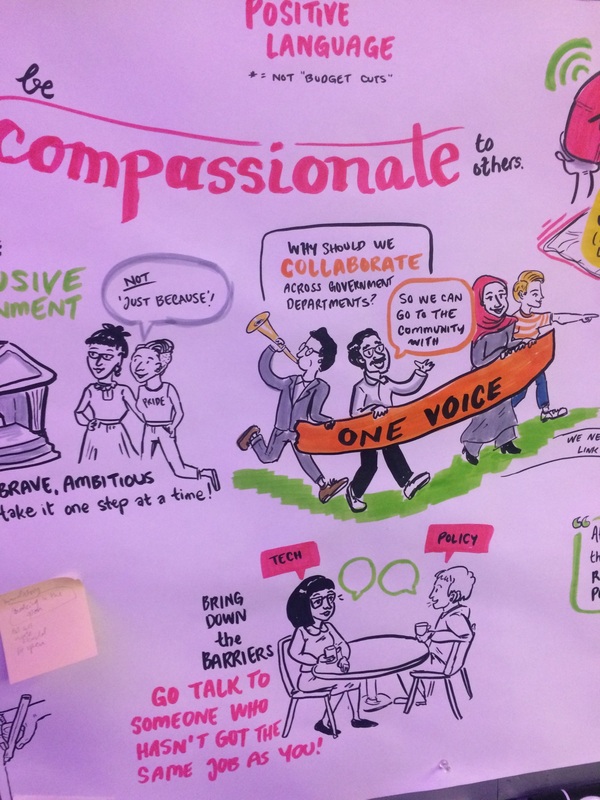 “On Monday I attended the OneTeamGov Global unconference at the QEII conference centre in Westminster. The event involved 700 public sector workers from 47 different countries and was organised by One Team Government: a public sector reform movement which aims to improve public services and change the way the public sector works through practical action. The main point of an unconference is that there is no set agenda: attendees make their own programme on the day so, following an opening address from OneTeamGov co-founder Kit Collingwood, Deputy Director, Data: Universal Credit at the Department for Work and Pensions (DWP), the themes of the different discussion sessions were set. This was done using an amazing approach where all attendees could contribute (yes, all 700!) using a combination of ‘speed networking’ cards to record the one question we would ask of government if we were “10 times bolder” and a simple scoring system to prioritise the questions into 70 different sessions. This took around 45 minutes and had the bonus of a great networking opportunity. I met the Permanent Secretary for the Department for Environment, Food & Rural Affairs, Clare Moriarty, and had a selfie tweeted with Clare when she found out we had got to the unconference through our involvement with Civil Service Local. I found out that Clare is the Permanent Secretary Champion for Civil Service Local in the North East, Yorkshire and Humber. When I say we, I was there with three other members of my Civil Service Academy project team: Leanne from the Department for Education in Nottingham, Lukas from DWP in Mansfield and Azhar from the Insolvency Service in Birmingham. The D4D Team at OneTeamGov Global unconference. 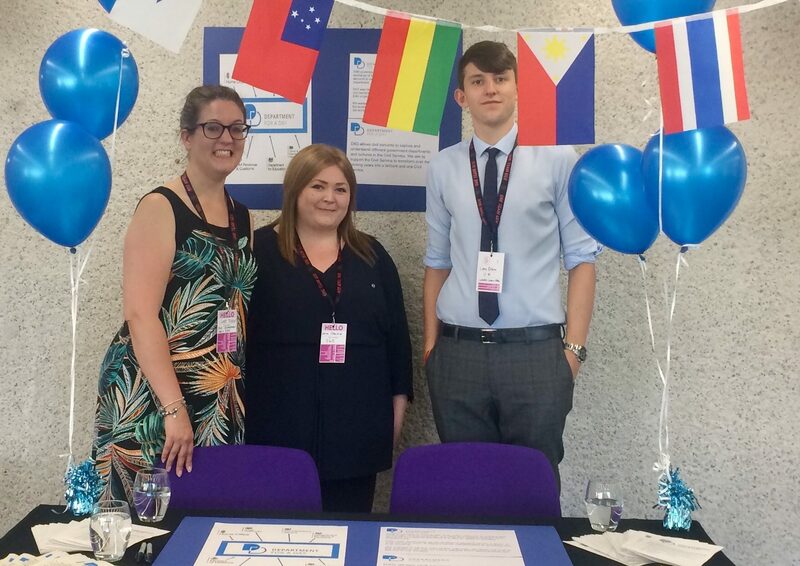 We were there to discuss our project: D4D – Department for a Day – developing a framework for a discovery workshop so those working in the public sector can get a valuable experience by visiting another department. A key theme of the day was cross-departmental collaboration and breaking down silos, something that our project promotes, and Leanne and Lukas were able to discuss the project in more depth as part of one of the sessions, based on Lukas’ original question card. The unconference came the day before our end of year review for the Academy, back at DMS Whittington in Stafford, and was a great way to round off all the hard work that the project team have put into D4D over the last year and really symbolises what we’ve achieved. I’ve learned a lot over the last year from working with a different group, pushing myself out of my comfort zone and dealing with some challenging situations." As Clare’s experience shows taking part in the Academy was the tiny acorn from which the root and branches of her networking grew. When are you going to start building your network? You never know where it might lead you. 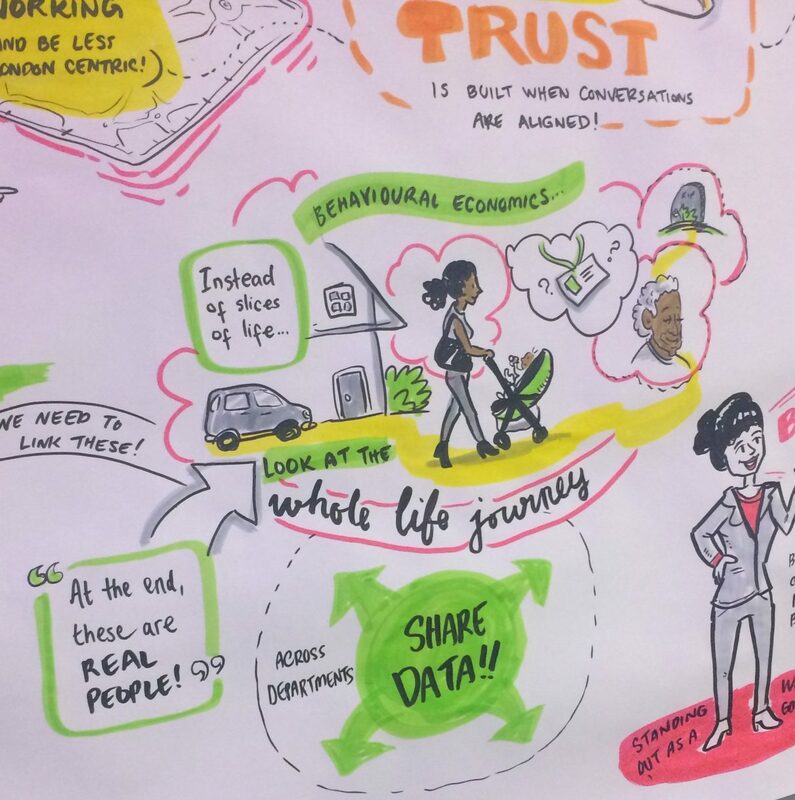 For the latest opportunities at CS Local Midlands (which includes more details of how you can get involved in D4D) click here. If you would like to subscribe to our monthly bulletin featuring CS Local opportunities in the Midlands please send me an email angela.fisher@cabinetoffice.gov.uk.